Please do not post on the OB-GYN-L forums that I mentioned in my previous post about litigation and the obstetric mindset--they are for medical professionals only. You are free to read them, but occasionally lurkers post and it really gets the list members mad. I'd hate to see the forum go private because of obnoxious lurkers starting to post where they are not invited. While doing research for an article I'm writing, I spent a lot of time on the OB-GYN-L forums, where OBs and the occasional family physician or midwife discuss various ob-gyn topics amongst themselves. I read through the past five years of discussions to gather the various perspectives OBs hold on home birth. I often got sidetracked into reading threads not directly related to home birth, such as posts about about VBAC or breech. I was amazed at how terrified OBS are of being sued. Over and over, the OBs on this forum caution each other to be careful, that every patient is a potential litogen, that if any little (or big) thing goes wrong, the patient will turn around and sue, claiming that they were not properly informed of X or Y risk. And, unfortunately, this does happen often enough to somewhat justify that fear. Anna Meenan, MD, FAAFP: The legal system is definitely the stumbling block, but if OB's were really serious about working with and supporting midwives, it might be possible to put in place legislation protecting receiving hospitals and OB's in all states. Ronald E. Ainsworth, MD, FACOG: It's not just the legal system per se. My malpractice carrier will not cover me for any birth that is a planned out of hospital delivery that I agreed to provide backup coverage for. I'm a proponent of patient choice and autonomy, but not at the risk of my career or financial ruin to myself and my family....It's not just "boost rates or cancel insurance," my carrier excludes any coverage for malpractice arising out of a prearranged relationship with a patient who attempts out of hospital delivery. That means I would be practicing bare. NO THANK YOU!! This practice does not participate in home births in any capacity. If patients want to discuss this, we don't accept them or discharge them. 90 percent of us get sued. It's an unbelievably awful experience even when you did nothing wrong, and it's worse when there's some real question on that point. I admit to a lot of frustration and upset when an obvious litogen (e.g. local favorite: refusing GBS prophy because 'antibiotics cause asthma', don't get me started on this nightmare of junk science) walks through the door, but communicating those emotions to the patient just starts things off on the wrong foot altogether, as I'm sure y'all know already. As the recipient of several surprise train wrecks from planned home deliveries or lay birth deliveries gone bad, I agree that very often "the hospital" and "those doctors" end up being the bad guys. Most patients are not pleasant after 6 hours of hard pushing followed by an eclamptic seizure and postpartum atony with hemorrhage. Typically they don't like hospitals or physicians to start with and are on the lookout for anything else to go badly. I was also surprised that many OBs feel trapped by the system, portraying themselves as victims and malpractice lawyers as The Big Bad Guys. Physicians comment about how ACOG "is a hostage of the legal system," how "the legal system is the king (or queen)," or how "trial lawyers run the whole show." I am trying very hard to understand the obstetric mindset when it comes to risk, malpractice, and litigation in relation to choices such as VBAC or home birth. I can kind of understand why OBs act and think the way they do, and I have been trying very hard to see things through their eyes. But on the other hand, their attitudes and behavior directly impact women's bodies, women's birth experiences, and women's range of childbirth-related choices. But still, I do understand what a hard place many of them are in, and the blame is multivalent: partly from patient litigation (real or imagined), partly from malpractice insurance or hospital policies, partly from personal experience (such as attending a VBAC with a bad outcome), and partly from personal preference ("I don't see why any woman would want a VBAC--what's the big deal about having a cesarean?"). On OBs and lawsuits: I can understand part of it, and part of it is an incomprehensible mystery to me. OB, as a surgical specialty, has a much different "flavor" than the FP [family practice] world I trained in. OBs are surgeons, and many have an "I can fix that!" kind of personality, where issues are seen as black and white, and they rely heavily on their judgment and skills and quick decision making. Surgical training is much more hierarchical than generalist training, and I think that builds in much more of the power issues that we see in medicine so much. OBs primarily view their clients as patients, and their decisions as scientific and don't concern themselves with the softer, social/emotional issues. Because of the power play issues and the idea that the OB is the knowledgeable important person in the relationship, I think this leads to a lot more worry on their part of the consequences of their decisions. The average OB is trained and socialized to be the decision maker and leader in the doctor-patient relationship, and to bear the responsibility for the outcome. They are also socialized to be very risk aversive - but only the risks that impact them the most. There is this overriding cultural expectation that OBs are expected to produce a perfect baby every time - but in reality, I think OBs propagate this much more than their clients do. I think so much could change if OBs (and many other kinds of doctors) could let go of the power differential and allow themselves to be seen as human. As a family doc, even though I trained in a highly traditional medical setting, I was still trained by family docs, with a strong flavor of know-the-evidence, partner-with-your-patients type style. I think midwives, of course, lean even farther into the psychosocial part of their relationship with clients in their training. I think the more partnership or service style of practice leads to less fear that you will be held solely responsible for your decisions. Our generalist training, and in midwives' case, their woman-centered training, shifts more responsibility onto clients themselves, and I think leaves us feeling less worried about litigation, and more worried about quality care. Of course these are big generalizations, and there are exceptions to everything, but in general the culture of the surgical specialty of OB is just so different than the culture of midwives, or even family docs. I don't worry about getting sued very much. It rarely enters my mind as a factor in decision making. I worry a lot more about educating, and about encouraging my clients to make their own decisions. I worry about forming good relationships, providing room for disappointment to be expressed when things don't go the way we hoped, and making our decision making processes completely transparent and understandable to my clients. I worry about making sure my clients understand that there is a lot of uncertainty sometimes in what we do, that no outcome is guaranteed, and that I strive for excellence and hope for luck along the way, too. I hope that the relationships I form with my clients will mean that they can tell the difference between malpractice, and an honest human being doing their best. Part of the lawsuit crazy fear really does seem incomprehensible to me, though. When I was pregnant with my fourth child, I went to a friend (or more acquaintance) who is an OB for prenatal care, and we had the weirdest argument over me being tested for gonorrhea and chlamydia in early pregnancy. I didn't want to be tested because I have zero risk, and it costs money. She kept saying that it was important to be tested, regardless of risk, because of "medical legal reasons." We went around and around until I finally said: "Look, 'medical legal reasons' only come into play if I sue you, and I can assure and guarantee you right now that I'm never going to sue you for not testing me for gonorrhea and chlamydia. I understand the risks and benefits of being tested, and I refuse. Period." She was terribly flustered that I'd brought up the word "sue" and terribly flustered that I said "refuse" and was clearly uncomfortable and it was so strange to me. In my practice, I matter-of-factly explain the benefits of being tested, and if clients choose not to be, I feel quite content that even if they are making the wrong decision, it's their decision and their consequences so I don't have to be personally invested in it - while she clearly couldn't let go of the idea that by not following the "standard of care" I could somehow accuse her of malpractice later. I still can't understand why so many OBs are so terrified of being held responsible for outcomes they can't control - why are they so frightened of allowing the decision making to rest with the folks who have to live with their decisions!? How might the swine flu affect maternity services? Hospitals are drawing up emergency plans for dealing with a shortage of midwives. Home births would be refused and planned caesarean sections abandoned if there were not enough staff to carry them out safely. Ante-natal tests to check the health of the expectant mother and check for foetal abnormalities could be delayed, or even stopped, under separate guidance being agreed by medical experts. The Government has made planning assumptions that up to one in three people in Britain could become infected with the swine flu virus by the end of winter, putting huge strains on the NHS. However, this does not necessarily mean a blanket moratorium on home births. While asking all women to birth in hospital makes sense from a staffing point of view, it also increases their risk of being exposed to the virus. But Luton and Dunstable Hospital Foundation Trust said it hoped to keep its home birth service going, rather than adding to pressures on hospitals dealing with swine flu patients. A spokesman said that women who had booked caesarean sections might be asked if they would switch to a traditional birth, reserving slots for emergencies. Belinda Phipps, from the National Childbirth Trust, said that during a pandemic, pregnant women were more likely to want a home birth, in order to keep away from hospitals. Many women would be disappointed, she said, given that there are already not enough midwives to give a home birth to everyone who wanted one. She said: “In a situation like this, what we would want to see is more women given home births. Bringing more women into hospital would increase the risks of them contracting the virus, she said, but it was the only way to meet demand when there were more pregnant women than midwives available. Childbirth is a big business. A recent article in the Minneapolis Star Tribune, Definitely, Not Your Mother's Maternity Ward, explores the multimillion dollar maternity wing renovations in the Twin Cities area done in the hopes of luring in potential customers. Rain showers, iridescent tile, whirlpool tubs, massages, wi-fi, and spa services are some of the amenities available in the updated birthing rooms. Click here for a list of the featured hospitals and amenities mentioned in the article. Many women have taken childbirth preparation to a new level. Bombarded by marketing from retailers such as Babies "R" Us and websites such as babycenter.com, and inspired by reality shows such as "Maternity Ward" and home birth videos on YouTube, this generation has grand ideas about labor and delivery. The marketplace is so competitive that Fairview Southdale has an advisory board made up of women who have given birth there. To read the rest of the article, click here. The article is 4 pages long, so be sure to read the whole thing. 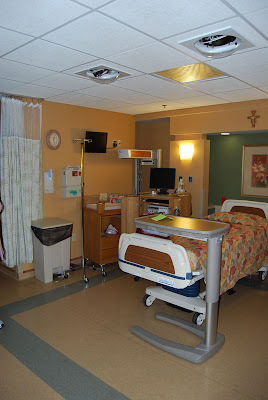 When I was a graduate student, I took the tour of the new maternity wing and NICU at our large university hospital. 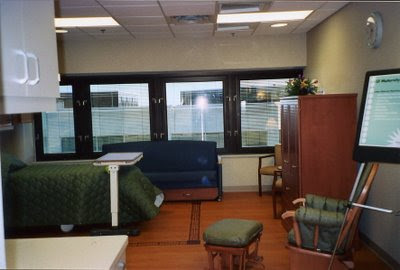 Much of the PR material emphasized the maternity wing's hotel-like amenities, such as room service, internet access, and "custom beds" (which are the same kind used in just about every other hospital, the Stryker Adel). I was quite happy to see large whirlpool tubs in every labor room. Waterbirths were allowed, although when I was there none of the midwives or doctors were really doing them. I hope that has since changed. Overall, I was definitely underwhelmed with the multi-million dollar renovation. What I want in a maternity service isn't the outward signifiers of a home or hotel--spa services or flat screen TVs or beautifully decorated rooms. I want policies that encourage physiological labor and birth, that follow evidence-based practice, and that, most of all, uphold women's autonomy and respect their need for dignity and privacy. The room's decor is largely irrelevant to me. The changes I want to see in maternity rooms cost little or no money, but are probably harder to introduce than the most expensive spa services. Things like rooms that promote movement and non-supine positions, policies that follow the best evidence, or nurses and doctors and midwives who are used to seeing women laboring unattached--free from monitors, IVs, and catheters. In the Star Tribune article, Jeanette Schwartz, clinical director of Woodwinds, remarked that the new maternity renovations are "about customer service. It's all about giving moms choices in their care." Really? In a country where almost 50% of hospitals ban women from having VBACs, where it's unusual to be allowed to labor without constant fetal monitoring or IV access, and where the majority of women receiving episiotomies were not consulted before they were cut, the rhetoric of "choice" rings hollow. Until I can freely choose those things and more, I will happily forego the "massages, manicures and nicer linens" and stay put in my own house where the real choices are mine to make. I occasionally come across birth photography that takes my breath away. I am not able to embed the first one, so be sure to watch The Birth of Amerlyn Grace on the photographer's own website, Life in Motion. When I watched this slideshow, I had a visceral memory of my own labor and birth--leaning over a table, rocking my hips and swaying my head slowly, totally engulfed in the sensations. The pain inscribed low on my belly. The rhythmic, slow breaths, each one bringing me closer to release. The headiness of the birth endorphins making the room seem to sway and shift. The second one by Lynsey Stone Birth Photography shows an unassisted birth. Both videos are child- and work-appropriate. And, darn it, they make me want to do it all over again! I've been following the Sotomayor hearings with interest and wanted to share an excerpt from a New York Times editorial Life Lessons Should Count on Top Court. Senator Lindsey Graham, the engaging South Carolina Republican, lectured the Supreme Court nominee Sonia Sotomayor last week that if he had made a comment like hers that a “wise Latina woman” often reaches better conclusions, it would have a been a career-ender. The cable-news commentators concurred and the nominee, playing the create-no-waves confirmation game, expressed regret. Actually, her remark was rational and Mr. Graham’s analysis flawed. What endures, however, is the spectacle of middle-aged, white Republicans lecturing the first Latin female nominee about the irrelevance of race, gender and life experiences for a judge. Even Mr. Graham, one of the more enlightened lawmakers — a strong immigration advocate and a thoroughly modern Republican — didn’t get it. 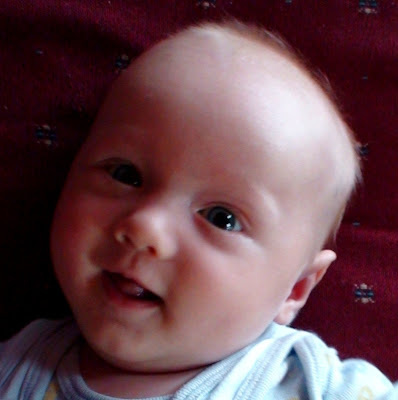 The June 2009 issue of Birth contains the results of a pilot study gauging the effects of modifying the labor room to encourage mobility, reduce stress and anxiety, and discourage routine medical intervention. Investigators randomly allocated 62 healthy women in spontaneous labor to either a modified room or the standard labor room. Women attended by midwives or doulas were excluded from participating, effectively creating a study population not predisposed to be mobile in labor. Changes to the labor environment were relatively modest. The most radical innovation was to remove the labor bed, replacing it with a portable double-sized mattress and pillows in the corner of the room on the floor....Rooms were also equipped with a birth ball, a chair that promoted sitting upright or leaning forward, an LCD projector with a selection of movies of calming nature images, an mp3 player with a selection of music, and a chart illustrating upright labor and birth positions. All labor rooms had a private bathroom and lacked windows. No nursing alterations were made other than mandating intermittent auscultation, leaving the overhead light off, keeping the door closed, and putting a sign on it asking people to knock before entering. The trial was too small to draw firm conclusions, but the results certainly support conducting a larger one. Sixty-six percent of the women in the modified room reported spending less than half of their time in labor in bed versus 13% of women in the standard room, and only 35% spent three-quarters or more of their time in bed versus 87% of women in the standard room. (The bed was brought back at the woman’s - mostly for epidural analgesia - or caregiver’s request.) Women in the modified room were significantly less likely to have oxytocin augmentation (40% vs. 68%), and those who had it got it later in labor. Women also had somewhat shorter labors on average and longer times to initiation of analgesia/anesthesia. They used a dining room table to lean over. They used the bathtub. They walked around the garden. They were moving, or on all fours, or side-lying on a mat on the floor… a variety of things…And that struck me, even then, that there were more opportunities, more ways for a woman to help herself to be more comfortable and perhaps her labor to be more effective if she were not confined to a bed. Doctors and midwives agree it's better for a woman to move around while she's in labor. Walking and changing position makes her more comfortable and helps the labor progress. But in many countries, women giving birth in hospitals are often instructed to lie in bed while their labor progresses. 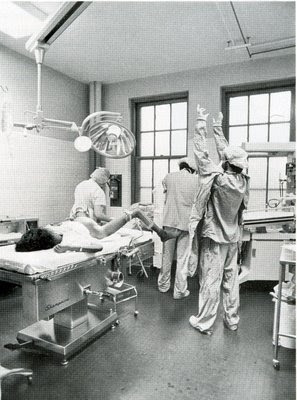 University of Toronto nursing professor Ellen Hodnett observed that in many modern - and even some not-so-modern hospitals - a bed was at the center of the labor room. "That bed is a problem," Hodnett says. "Because it's a central focus of the room, and it sends messages that that's where you're supposed to be in labor. And yet, we have pretty good evidence that spending long periods of time in bed, particularly confined in the way that a hospital labor bed confines you, is not conducive to normal, healthy labor progress." I would love to see pictures of the modified birth rooms from Hodnett's study. Sometimes simple and inexpensive changes are better than the newest high-tech bed. Should we cover ED drugs, fertility treatments so we can have octomoms everywhere, abortions, unlimited morning after pills, STD drugs handed out like candy, bariatric and lapband procedures, botox for "migranes", and the lists goes on and on....Are we going to pay for at home birth in mobile tub clinics? Ooh, please sign me up for an "at home birth in mobile tub clinics," whatever that is! I'm glad to know that home births are perceived to be on par with Viagra and Botox and treating STDs. The ignorance of the American public is so astounding as to be laughable at times. Just read through some of the comments--the standard stuff about teenage welfare queens and how D.C. is going to sink into the sea (because, you know, universal health care is SO EEEEVILLL). The Conference Program for the International Breech Conference is now available. The conference will be held in Ottawa from Thursday, October 15 - Friday, October 16, 2009. The conference fee is only $65 for students and consumers (more for physicians, medical students, and other professionals), making it affordable for just about anyone to attend. CEUs are available for physicians, nurses, midwives, chiropractors, naturopaths, homeopaths & doulas attending the conference. Please mark your calendars now! Click here to view the program. We finally caught his smiles on camera! In New Life, New Lessons, midwife Ame Solomon writes about how she discovered her profession. Her essay is an excerpt from "Birth," part of the anthology Ask Me About My Divorce: Women Open Up About Moving On, published this year by Seal Press. I noticed how women were stunned by how drastically different the world looked when they were pregnant: how it changed the entire landscape of their lives. It was as if they were starting life anew. I took that element and tried to apply it to my predicament, so that when I had no idea what to do next, I made an effort to comfort myself in the open range of possibilities. In the laboring mother, I witnessed how her pain was inescapable and raw and overtook her entire being. I saw her writhe in agony, breathe through tremendous difficulty, somehow make peace with her situation, surrender to the process, and face her deepest truth as she brought forth new life. Most remarkably, I saw women reach deep inside and access a warrior-like internal strength beyond compare. Every birth inspired me to reflect on the power and wisdom women possess, and to have faith in my own inner fortitude. I marveled at the natural process unfolding for women as they let go without self-judgment. I observed how they hurt more if they became scared, and seemed more at peace with their pain when they accepted it. I learned from them that there was pain with purpose, and that we can make it through the most horrific, mind-numbing, excruciating pain, even though we sometimes think we can't. In the end there is triumph, joy, and empowerment beyond imagination. In a Lifeless Birth, a Midwife’s Opened Eyes is a heartwrenching story in The New York Times about a new midwife, called to attend a birth of a baby who had recently died in utero. She learned how to face death, rather than pretend it did not exist, from a more experienced midwife. 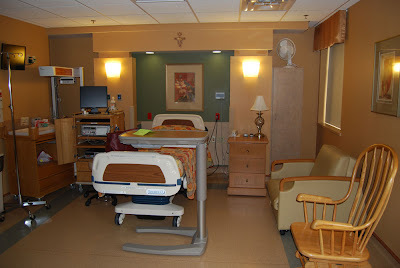 Not sure what else to do, I filled the silent birth room with the sound of my own voice. I told her all about my training in midwifery, my hometown, my likes and dislikes. I learned that she was a graduate student in crop management, that she grew up in Ohio, that we both liked a movie that had come out the week before. The time dragged, the monitor spewed forth paper, and I kept chattering. I remember that I was proud of myself for coping with this difficult situation with diplomacy and tact. My patient collapsed into uncontrollable tears. Barb sat on the edge of the bed, her hand on the patient’s arm, and they spoke in halting, slow, tearful words about the awful momentousness of what was happening. I sat in my chair in silent shock. Death had been in the room but had been nicely hidden under the sheets, under our cheerful demeanor, under the silences of things left unsaid. In Delivering Affordable Health Care, Miriam Perez (who blogs at Radical Doula) explains why midwives offer a cost-effective solution to rising health care costs. Washington, one of the first states to license CPMs, now has an out-of-hospital birth rate twice the national average and has seen these claims of cost effectiveness come true. The most recent Department of Health cost-benefit analysis showed that licensed midwifery care in Washington saves the state $3.1 million every two years in Medicaid costs. In The Big Push: Birmingham hosts national midwifery conference, Jesse Chambers discusses past and present legislative efforts to legalize and license direct-entry midwifery in the U.S. I love the poster! On the other side, she says, are well-funded lobbies such as the American Medical Association (AMA). “Since the Big Push for Midwives Campaign began, we have organizing the grassroots together in order to stand up to these very well-financed opposition forces,” Hedenkamp says. She is able to cite at least a few states where the midwifery movement has had some success, including Idaho, where a bill was passed this spring to legalize CPMs. And finally, an oral history video about midwife Anna Grier. Betty Sue Gunthrope speaks to the influence of early twentieth century midwife, Anna Grier and the role of African American women as frontline health providers. A British midwife and PhD recently submitted an article to Evidence Based Midwifery, a publication of the Royal College of Midwives. Some of his viewpoints were featured in an article in The Observer. Its headline proclaimed: It's good for women to suffer the pain of a natural birth, says medical chief. The midwife argued that epidurals are overused and that having an unmedicated birth can be beneficial to women by helping them bond with their baby, preparing them for the demands of motherhood, and serving as a significant rite of passage. Instead of routinely offering epidurals, the midwife wrote, hospitals should encourage non-pharmaceutical forms of pain relief, such as yoga, hypnosis, and birthing pools. Any article discussing pain relief--whether epidurals are over- or under-utilized--is bound to be controversial. But this midwife's perspective has elicited an outpouring of what can only be described as mass hysteria. Why? Because the midwife, Dr. Denis Walsh, is a man. The Mail Online's headline announced: Why mothers should put up with pain of childbirth - by a male expert in midwifery. A companion article in the same publication began with these words: "Obviously, it was a man who said it. A man who will never know the intense fury of a contraction, the hours of desperation or the waves of fear as a baby makes its painful way into the world," wrote Laura Kemp in I dare you to say that to a woman in labour. 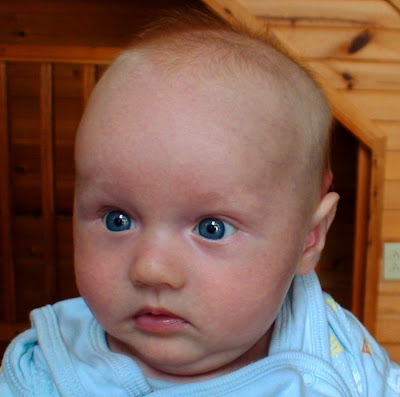 Momlogic's headline asserted that "Midwife Says Childbirth SHOULD Be Painful." The first line of the article shouted (emphasis theirs): "When he pushes a baby out of HIS body, maybe we'll give a damn what he has to say!...Of course, this would be A GUY who says this ... a guy who has never had to go through the pain of childbirth himself!" From the UK's Marie Claire: Male Midwife: Women Should Endure Labor Pains. Medical News Today announced that More Women Should Endure Labour Pains Says Leading UK Midwife. Even the original article in The Observer probably distorted Dr. Walsh's intended message. I have been interviewed multiple times for magazines, newspapers, and television. Most of the direct quotes attributed to me were, in fact, inaccurate. I never actually said those things verbatim. Instead, the people interviewing me made up quotations approximating what I said. In addition, the process of writing an article necessitates emphasizing some points and omitting others--further changing the interviewee's original message. He has set out his controversial views in an article for the journal Evidence Based Midwifery, which is published by the Royal College of Midwives (RCM). In a sharply worded critique of the rising popularity of pain-free labour, Walsh warns that normal birth is in danger of being "effectively anaesthetised by the epidural epidemic" in the NHS. A widespread "antipathy to childbirth pain" has emerged in the past 20 years and combined with increased patient rights and risk-averse doctors to create a situation where almost all hospitals now offer epidurals on demand, even if that is not in the mother's or baby's interests. It sure sounds like those quotes are coming from the article, right? But they aren't, and the article doesn't yet exist. On top of playing telephone, most of the commentary about Dr. Walsh's views suffers from a classic case of killing the messenger. Notice how quickly so many of the authors and bloggers and comments are quick to discredit his viewpoints, simply because he is a man and has therefore not given birth. Because if we can dismiss anything a male midwife says, simply because of his gender, then we surely must also discount any viewpoints on pain relief from male OBs. And we must also dismiss anything from any female midwives or OBs who have not had children. And, for that matter, any female birth attendants who have had a baby by cesarean--since they would not know what giving birth feels like, right? What we have is a reductio ad absurdum argument: if you have not given birth and experienced exactly what I felt, you have no right to have an opinion, research-based or not, about the value of labor pain. There is a serious case of gender bias going on here. Not only is he male, he is a male midwife. Almost as weird as a male nurse. Note how many of the articles mentioned his gender. However, if the author had been a female midwife, they would not have emphasized her gender and mentioned it alongside her profession. I wonder if the response would have been as dismissive if it had been a male OB, rather than a male midwife, voicing the same ideas. Lisa Barrett, another Australian midwife, writes about Denis Walsh and Andrew Lavender at Homebirth: Midwifery Mutiny. The Times says: Pain in Childbirth. Professor says endure it! * Midwives (a) have in some delivery ward contexts become so accustomed to routine intervention and pain relief that they’ve simply lost the ability to accurately judge ‘how it’s going’: they see a woman screaming in labour pain and think something’s gone wrong, when in fact she’s simply in labour. 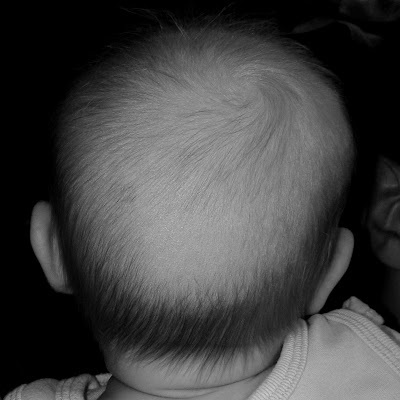 Because of this, midwives are quite often quick to try to “fix” the situation by offering epidural; (b) are sometimes simply not willing to take part in helping women to manage pain; in a nutshell, they simply don’t like putting up with screaming patients; and so they like for their patients to receive epidural as quickly as possible. * Childbirth is a frightening experience, especially for women who aren’t well-educated about it, and as such, midwives tend to influence very heavily what decisions women make for themselves in childbirth. I wanted to share this birth story from Adventures in [Crunchy] Parenting. She had a planned unassisted birth after two hospital births. She is also the person whose comments I quoted in the post From UC to a Midwife. I loved her description of what her labor felt like, especially as she approached transition. I can very much relate to labor being "so purposeful that it feels overwhelming. It triggers the feeling of action - that you need to DO something." Just 30 or 40 minutes before Dio was born, I remember having incredibly intense contractions. I felt that little hint of pushiness and had an almost irresistible need to drop down on my knees. And a feeling of urgency and forward momentum. I continued to have Jeremy rub my shoulders, and during this time, the contractions started changing from strong and powerful to painful and purposeful. I said to Jeremy, "I have no idea how women transport to the hospital in active labor. You could not pay me enough to get me down those stairs and into the car right now." 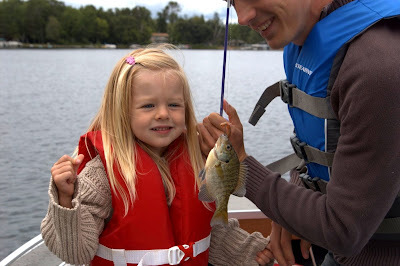 It is an interesting and indescribable sensation, transition contractions. It is usually at that stage most women have the feeling that they can't go on, and often the stage at which women begin begging for pain medications. Now, it can be very painful during that time, but more often, it is so purposeful that it feels overwhelming. It triggers the feeling of action - that you need to DO something. If you are at home, and have freedom of movement, it is easy enough to listen to that feeling. I can imagine that for women in the hospital (as it was for me in previous births), being strapped into a bed at that moment would be frightening and create a "caged animal" feeling. Well, in my case, they were definitely painful. I knew now was the time to just hang on and relax, and try my best to get through the contractions until it was time to push, which I also knew would not be long, if I was in transition. At the end of her birth story, Emily compared and contrasted her emotional experiences of giving birth. You don't have to have a candle-lit, romantic birth with Enya playing in the background for birth to be amazing and perfect. It can be raw and painful and overwhelming and even a bit scary in parts--and still be wonderful and just what it needed to be. I couldn't have asked for a better birth. In a way, emotionally this birth wasn't much different from my hospital births. I had always ignored the staff around me and done my own thing anyway, so I already felt very confident in listening to my body. But the difference was NO HASSLE. No needles, tubes, machines that go Ping!, nurses, doctors, strangers, vitals, meds, beds, smells, stupid questions or irritating orders. For a long time after Ruby's birth, I felt as if I did everything "wrong." The labor was fast, it was painful, I made a ton of noise, and nothing about it seemed particularly spiritual or life-changing. I had none of the usual cultural rituals surrounding childbirth, such as going-home outfits, footprint certificates, or official visitors. And on top of all that, I could not share my birth story with anyone without getting that, "Are you crazy???" look. It is a sad statement on the state of birth culture in our country when a woman who births naturally, in her own environment, following her human instinct, surrounded by her loved ones, is considered the weirdo. In any case, it has taken me a good while to understand that a birth experience doesn't have to be anything but what you want it to be. My birth doesn't have to be new-age-y, magical, ethereal or painless for it to be meaningful, and it doesn't have to be supervised, technological, or professionally observed to be safe and successful. In other words, my birth was exactly what it needed to be for me: normal. Several weeks ago I posted about collaborations, transfers, and attitudes towards home birth, including the research of OSU professor and CPM Melissa Cheyney into physician's perceptions of home birth. Cheyney and co-researcher Courtney Evans have published their findings in the March 2009 issue of Anthropology News. The article, "Narratives of Risk: Speaking Across the Hospital/Homebirth Divide," is available here as a PDF. In addition, RH Reality Check featured an interview with Melissa Cheyney about her research. I am especially interested in reading the protocol she is helping create for collaboration between OBs and home birth midwives. It's the first of its kind and will hopefully pave the way for better collaboration and communication between the two groups of birth attendants. Newman: How can providers who are already open and amenable to working with midwives help foster a more supportive culture among colleagues, as you suggest in the proposal? Cheyney: One of the mechanisms for maintaining distrust between midwives and obstetricians is what my colleagues and I have termed “birth story telephone.” This is very similar to the childhood game of telephone where as the story spreads from one individual to another, it grows in nature and the details change substantially. As home and hospital birth stories are told and retold, and filtered through the lens of the teller, details shift to match the preconceived worldview of the teller. For example, a non-emergent transport for a slow, uncomplicated and non-progressive labor can turn into a mother laboring at home for days with poor heart tones and a uterine infection before the midwife reluctantly brings her in. By the time the story has been passed along, mother and baby who were actually never in danger were saved from a near death experience by the hospital staff. Conversely, hospital births where a woman feels too many interventions were used can be constructed as abusive or traumatizing to the woman after numerous retellings. These stories effectively maintain the home/hospital divide. Physicians and midwives can work to overturn that divide by refusing to participate in “telephone,” by being committed to accuracy and professionalism; sharing only the stories they have first-hand knowledge of. Midwives and physicians who have positive experiences working with one another also need to speak up regarding those positive interactions. Newman: What are some of the stereotypes or judgements held by midwives about OBs/physicians? Cheyney: Let me begin with this caveat, midwives often hold fewer misconceptions about obstetricians because we actually get to see hospital deliveries when we transport. We have first-hand knowledge of the model of care that we often critique. However, very few physicians ever attend a home delivery, and yet feel very comfortable critiquing that option. That said, because midwives often hear stories of hospital births from clients who are unhappy with the experience and are now seeking an alternative, many maintain an outdated view of hospital deliveries as inhumane and impersonal. The vast majority of women, about 70% in the United States, leave the hospital feeling it was a positive experience. Only about 30% leave with regrets or frustrations about their experience and treatment. We as midwives disproportionately serve that 30%. This can prevent us from seeing the work that obstetricians are doing to humanize and individualize birth in the hospital. Finally, while obstetricians can envision a world without midwives, midwives cannot envision a world without obstetricians. Thus, midwives have a larger incentive to work towards positive relationships with back-up physicians. I discovered a new website for expectant parents that helps them have healthier, safer births: Mother's Advocate. 4. Avoid interventions that are not medically necessary. 5. Avoid giving birth on your back, and follow your body’s urges to push. 6. 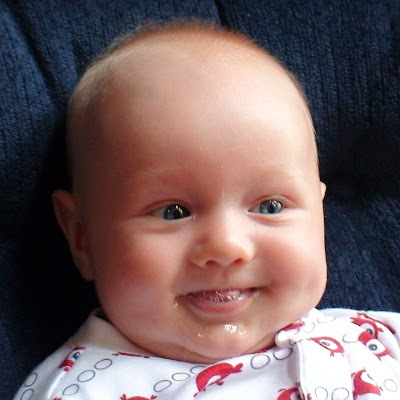 Keep your baby with you—it’s best for you, your baby, and breastfeeding. Mother's Advocate is a fantastic resource for women in their childbearing years who are planning hospital births. (These 6 care practices also apply to out-of-hospital settings, of course, but they are already the standard of care in birth centers and home births.) You can watch women pushing in upright positions, moving and changing positions during labor, and having immediate skin-to-skin contact with their babies. And the best thing is that you see these things happening in a hospital environment. The videos are short and easy to understand. The accompanying print material explains the principles more in depth. Besides handouts about each of the 6 Lamaze Healthy Birth Practices, Mother's Advocate offers 10 additional printouts on topics ranging from how to choose a care provider to positions for labor. Jill at Unnecessarean posted about Healthy Birth Practice #5: avoid giving birth on your back, and follow your body’s urges to push. In Getting Upright in Labor, Jill includes several different perspectives and quotes about vertical birth, including screen shots from one of the Mother's Advocate videos. This is a great place to send pregnant women when they are beginning to think about their birth options. My only wish is that the videos also showed women laboring in less institutional settings. 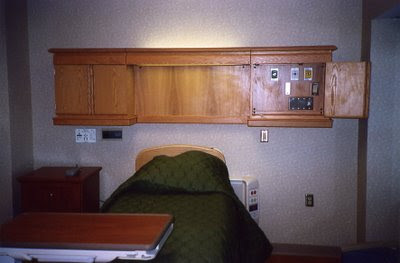 Footage from hospital-based or freestanding birth centers, for example, would provide a nice counterpoint to the images of women clad in hospital gowns and hooked up to monitors. I had to blink a few times when I read that the hospital's rate of Pitocin usage began at 93.3% and declined to only 78.9%. Seriously? Less than 7% of all laboring women did NOT have Pitocin? I cannot imagine any reasonable justification for Pitting 78% of all laboring women, let alone 93%. At times I wonder if I am mistaken in my belief that our birth culture is overly medicalized and, basically, really screwed up. But when I hear that a hospital administered IV Pitocin to more than 93% of its laboring patients, I don't think that I am overreacting at all. CHICAGO (EGMN) – The modification of the oxytocin infusion protocol at a large university-affiliated community hospital nearly halved the number of emergency cesarean deliveries over a 3-year period, reported Dr. Gary Ventolini. As oxytocin utilization declined from 93.3% to 78.9%, emergency cesarean deliveries decreased from 10.9% to 5.7%, Dr. Ventolini said at the annual meeting of the American College of Obstetricians and Gynecologists. Other birth outcomes improved as well at an 848-bed community hospital that serves as the primary teaching hospital of the Boonshoft School of Medicine at Wright State University in Dayton, Ohio. These included significant declines in emergency vacuum and forceps deliveries and a sharp reduction in neonatal ICU team mobilization for signs of fetal distress (P = .0001 in year 3 compared with year 1). “More and more data are showing us that we are using too much oxytocin too often,” Dr. Ventolini, professor and chair of obstetrics and gynecology at the university, said in an interview. “Our pivotal change was to modify the oxytocin infusion from 2 by 2 units every 20 minutes to 1 by 1 unit every 30 minutes. And we see the results,” he said. 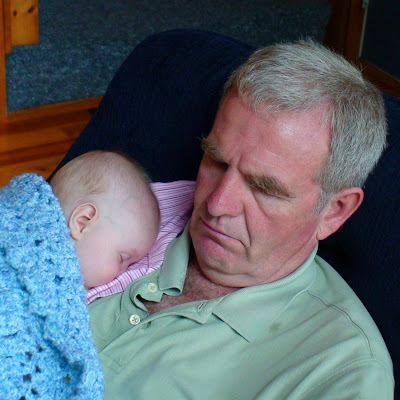 Outcomes of 14,184 births from 2005, 2006, and 2007 were retrospectively analyzed to determine any impact of the change in an oxytocin protocol implemented in 2005. Patient characteristics were similar in all three calendar years. The most profound changes were in emergency deliveries, including caesarean deliveries, vacuum deliveries (which dropped from 9.1% to 8.5%), and forceps deliveries (which fell from 4% to 2.3%). The overall cesarean section rate remained unchanged, as did the rates of cord prolapse, preeclampsia, and abruption. Dr. Ventolini cited a recent article in the American Journal of Obstetrics and Gynecology that suggests guidelines for oxytocin use, including avoidance of dose increases at intervals shorter than 30 minutes in most situations (Am. J. Obstet. Gynecol. 2009;200:35.e1-.e6). Dr. Ventolini and his associates reported no financial conflicts of interest relevant to the study. Dio slept a 7-hour stretch last night, completely out of the blue. Usually we'll get one 4-5 hour sleep, then 2-3 hours the rest of the night. I think he would have slept even longer, but I went to the bathroom at 4 am and woke him up when I opened the creaky door. He was still dry (and wide awake) after I nursed him, so I took him into the bathroom to potty. He hung out for a while, looking up at me in the dim light, perfectly content. Then he pooped and peed and we went back to sleep until 8 am. And, even better, I got him to laugh today! I was tickling him and his grins turned into big "ha ha ha" laughs. Of course as soon as I turned on the camcorder he stopped. I got pregnant with Dio when Zari was about 21 months old. A few months before that, she had started sleeping in her own room. This helped her sleep longer and better, sometimes the whole night through and other times waking up just once to nurse. Before then, she was still waking up every 2-3 hours to nurse. 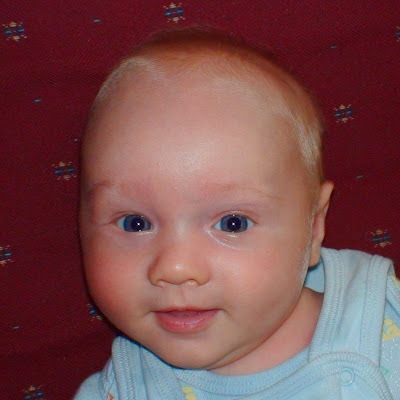 I think the near cessation of night nursing had something to do with my being able to get pregnant with Dio. My cycles returned at 17 months postpartum, and I had 4 or 5 more before I got pregnant again. During my first trimester of pregnancy, nursing was uncomfortable. Some women have reported a creepy crawly sensation when they nurse during pregnancy, others say it's terribly painful. It wasn't that bad for me--just sore and tender at times. Fortunately Zari was old enough to understand when. during a nursing session, I told her it hurt a little bit and she needed to stop. During this time we were working on both her sleeping and nursing routines and there were some frustrations. I started having Eric try to get her back to sleep when she woke up at night, and for a few months she would cry for me and ask to nurse. If she became increasingly frantic, I'd come in and snuggle with her. But for the most part, I was done nursing her in the middle of the night. We talked about how "when it's dark outside, we sleep. When it's light outside, we can nurse," since she usually nursed when she woke up in the morning. I found some very helpful tips in Elizabeth Pantley's book The No-Cry Sleep Solution for Toddlers and Preschoolers. I can't remember exactly how many times she was nursing at this point, but I'd say 3-4 times a day: when she woke up, going down for a nap, going to sleep, and maybe once more depending on the day. I noticed a fairly dramatic decrease in my milk supply when I became pregnant. By the second trimester, I couldn't express any milk at all. I guess there may have been a few drops of milk when she was actually nursing, but nothing I could see. Zari didn't seem to mind at all, though. My colostrum started coming in around 7 months pregnant. By time Dio was born it was fairly abundant, definitely more than when I was pregnant with Zari. Our nursing sessions during pregnancy were not very long, due to my decreased supply and the increased discomfort. I'd take Zari off after just a few minutes. And she'd often come off the breast herself and say she was done. By time Dio was born, she was nursing just twice a day: at naptime and bedtime. 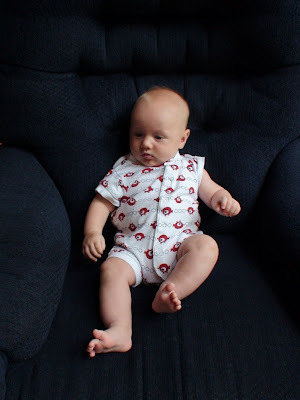 I definitely encouraged this pattern, because I knew that I'd be busy nursing the new baby after it was born. We talked a lot about the upcoming birth: how mama would make noise, how the baby would come out of mama's belly, how the new baby would nurse a lot. For the first two weeks after Dio was born, my mom stayed at our house to help out. She often put Zari down for naps and bedtime, so I was nursing her even less. When she left, the adjustment period started. Every time Zari was tired or frustrated or hurt, she'd throw a fit and ask to nurse. If Eric tried to calm her down, especially at night, she'd scream and get frantic and irrational. Which was just a tad frustrating because I was also dealing with a newborn and now I also had to get up at night, sometimes several times, to calm Zari down. This lasted several weeks. Thankfully we're over it now, and she doesn't ask to nurse every time something happens. I like having a nursing toddler; for example, when I am engorged and Dio has just gone to sleep, she's more than happy to nurse it off for me. Normally, though, I let her nurse for just a few minutes and then I take her off. If not, she'd keep nursing forever, and it's not the most comfortable thing with a full mouth of teeth. I've only nursed both children at the same time once or twice, and it was quite the circus trying to get them both positioned; I was lying down on my side, so that made it particularly challenging. I definitely prefer one at a time! Zari is really sweet when Dio nurses. She saw me doing breast compression in the first few weeks after he was born, so she began "helping" me by placing her hand on my breast or squeezing it gently. She likes to give me "nursing kisses" (kisses on my breast while Dio is nursing) or to kiss Dio's head while he's nursing. I don't know how long I'll keep nursing Zari. I'm pretty laid back about it--as long as it's mutually enjoyable for both of us, we'll keep going. There has been some tension, though, between Eric and me over Zari continuing to nurse this long. He thinks she needs to stop, that she's too old, and that she will become too dependent and too attached the longer she continues to nurse. I'm not too worried about that. I've been around enough women who've nursed toddlers and preschoolers to know that they (the children) turn out just fine. And the moms seem okay too! Speaking of extended breastfeeding, have any of you read the article in the July-August issue of Mothering by Ruth Kamnitzer about breastfeeding in Mongolia? Really fascinating.